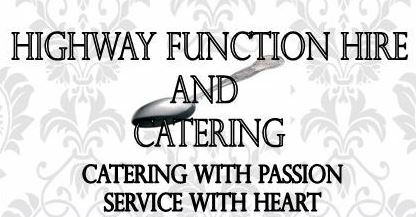 Highway Function Hire & Catering has become one of the most sought after function hire companies in KwaZulu-Natal. We specialise in catering, co-ordination and décor. The company was first started by Andre and Pat McDonald. In 1998, the company was bought by José and Maria Ferreira. Together this team is passionate about what we do. Our premises boasts a showroom and storage and warehouse facilities. We provide function hire services to the Highway area and nationwide. Need function hire for your dream wedding or event? We have a variety of tables and chairs to suite your needs. These include trestle tables, round tables and round cocktail tables. We stock an array of chairs, chair covers, chair back covers and tie backs to suit all occasions. Our elegant tablecloths, linen and overlays will match perfectly with your event’s theme. To complete your setting, you need cutlery and crockery to hire. We think of everything and are stockists of stainless steel dining wear; the Elite – Kings Pattern range, Eloff and Du Barry ranges. To match this, we have a variety of tableware. Whether it’s a salad bowl, platters or candle holders, Highway Function Hire & Catering has all you need for special event. From outdoor equipment to catering equipment, we will ensure your guests are well catered for. Brides, we have a variety of menus to choose from. We will do anything from pre-ceremony snacks and drinks to a 3 coarse meal. Our spit braai menus are ideal for year-end functions or any special occasion. For corporate functions and gatherings we have excellent buffet and platted menus that will have guests in awe with every mouthful. We also offer finger foods or hot and cold lunches. For delicious food, function co-ordination and décor as well as your event success, contact Highway Function Hire & Catering today.